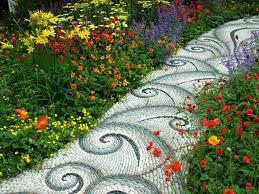 Pebble mosaics are another form of art mostly used outdoor and found in pathways, gardens, fountains, etc. 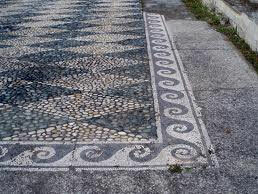 There are more than one way of making a pebble mosaic but all of them include using cement, whether at the bottom or on top. You can either start with the cement layer and arrange the pebbles on top, or do it upside-down by arranging the pebbles on a layer of sand and finishing with a layer of cement. 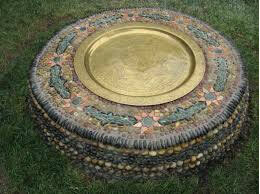 Pebble mosaics are very practical and have a multitude of uses. While it is relatively easy and inexpensive to make them, the results can be amazing and add a great touch to your outdoors. 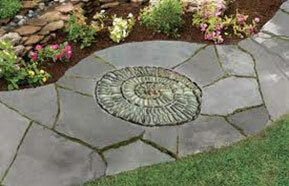 Whether you need to add stepping stones, ponds, steps, or edging strips, pebble mosaics are exactly what you should look for.